It has been several few months since I last made a shoe posting – high time for another one. 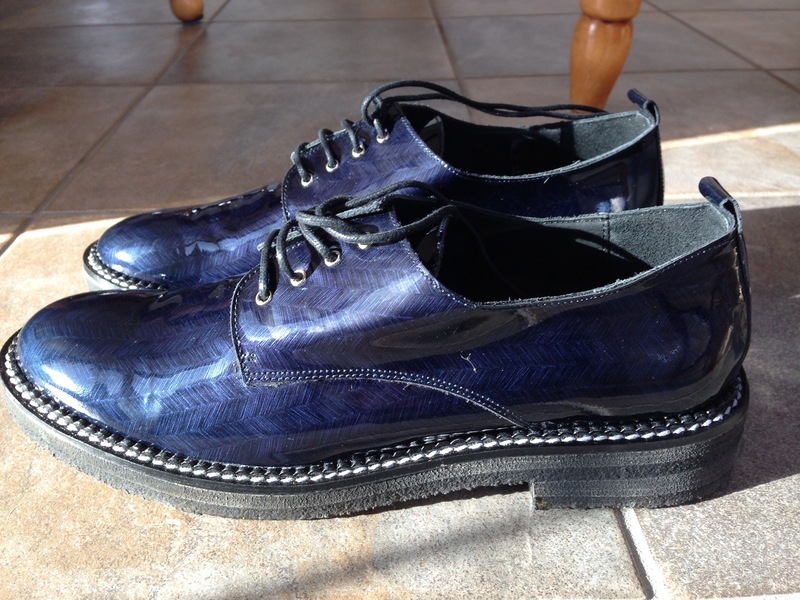 One of the very cheery things in life is a nice-fitting shoe that appeals to a person’s aesthetic sense as well. 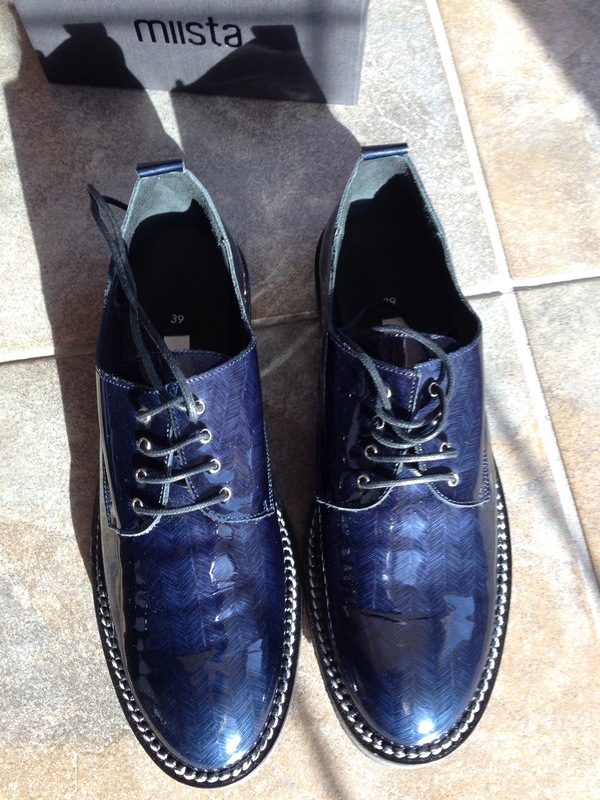 I really like these Zoya brogues in marine, made by Miista. They put a little pep in my step 🙂 I was further cheered that I didn’t have to wear my boots after the last week of Chinook winds that melted a lot of our snow. Haha.